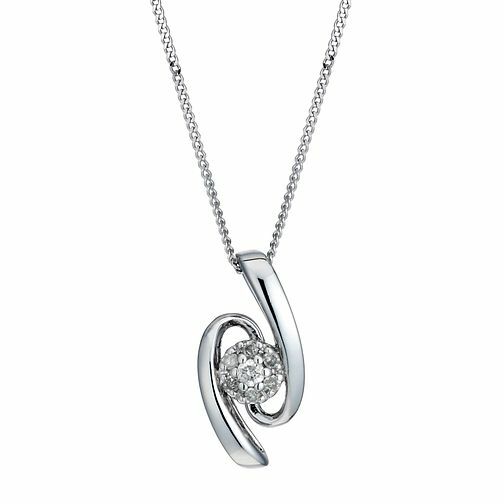 Elegantly simple, this pretty 9ct white gold pendant is a feminine and versatile accessory. Set on a fine chain with subtly sparkling diamonds to add a splash of glamour and indulgence. 9ct White Gold Diamond Wave Pendant is rated 4.5 out of 5 by 2. Rated 4 out of 5 by Anonymous from Birthday Present Lovely necklace and my wife loved it for her 40th. My only criticism is that the diamond quality is not listed on the product information and I had to phone up to get the details.